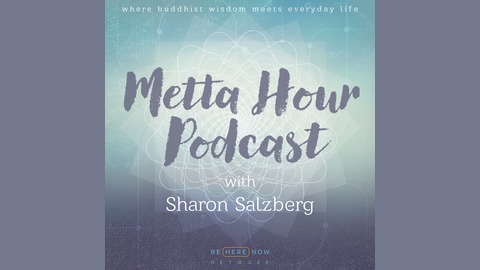 The Sharon Salzberg Metta Hour features Buddhist philosophy in a practical, common sense vernacular. Sharon’s natural wisdom, sense of humor and the ease with which she translates these teachings forge an intimate connection with the listener. From everyday experiences to pithy revelations, each podcast is a journey on the path of self-discovery. 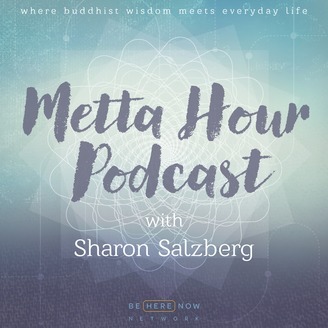 For the 98th episode of the Metta Hour Podcast, Sharon speaks with Dr. Amishi Jha Ph.D.
Amishi is a Neuroscientist, an Associate Professor of Psychology at the University of Miami, and the Director of Contemplative Neuroscience for the Mindfulness Research and Practice Initiative. Amishi studies the neural bases of attention and the effects of mindfulness-based training programs on cognition, emotion and resilience. In this episode, Amishi and Sharon speak about how Amishi came to the path of meditation, and how that has inspired her career as a researcher. They also speak about Amishi’s programs working with mindfulness training in education, corporate, elite sports, and the military.